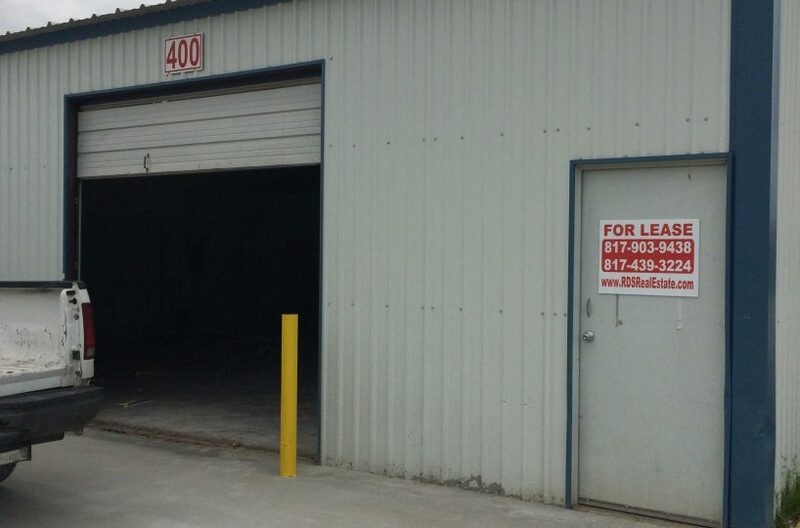 Fort Worth shop space for lease. 1,440 square foot shop with small office, restroom and 36 foot deep by 40 foot wide warehouse with one 10 foot by 12 foot ground level bay door at front. Ideal location for small contractor, electrician, etc who needs a warehouse for storage with a small office. Additional warehouse space for rent is available in this industrial complex. Contact us for more information.